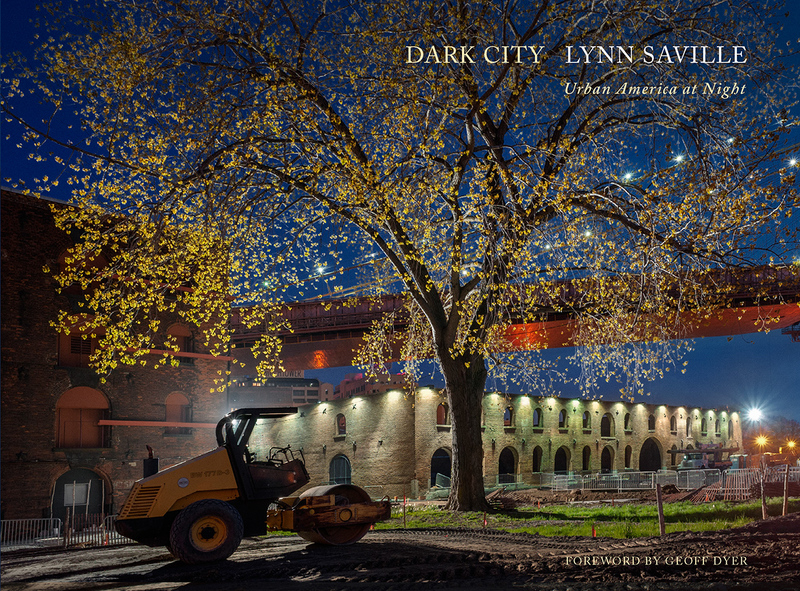 In Lynn Saville’s photographs you can feel her excitement as daytime shifts into night or night into day. She sees natural and artificial light emerging out of darkness, or advertising signs and street lights fading into dawn and is inspired by this regular, but dramatic, phenomenon. Also, some of her excitement comes from enjoyment in being alone, knowing that people are there but not out on the street. In winter she shoots more, because of the earlier darkness. One shoot that she mentioned was in Bushwick at 4am where, as usual for the morning, she felt that extra pressure at dawn, because when the sun comes up, the session is over. Due to the times when Lynn photographs, safety is a concern. She did get mugged once but, ironically, it wasn’t when she was out shooting. It was many years ago when she was walking around Chelsea, not paying attention. She pays attention at all times now and is very cautious. Although she sometimes wanders in desolate areas when shooting, she always knows where she is and keeps an eye out for who is around and what they are doing. Once she was on the Brooklyn Bridge when it was late, foggy, and nearly deserted. To overcome her fear she followed two guys she saw, and even though she didn’t talk to them, she didn’t feel quite so alone. Unnerving as such an experience can be, she feels that in some way a sense of fear plays a positive role in her work. However, this realization does not deter her from taking regular measures to ensure her safety. When she felt uncertain about venturing into Central Park after dark, she consulted a friend who told her where and where not to go. Wherever she travels, she doesn’t flaunt equipment, folds her tripod between shots, is discreet about what she’s carrying and what she’s doing, wears loose-fitting clothing that hides equipment, and puts her camera away between shots. Generally she shoots several times a week at twilight and sometimes is up at 5am to shoot again. Lynn comes from an academic background. Her parents were both professors at Duke University. When she was growing up her father and brother were avid amateur photographers. She enjoyed their work but didn’t feel the desire to do it herself. She was more interested in fashion and sewing her own clothes. She attended Duke for her undergraduate work and took a 1-credit class in photography, the only class, she remembers, that made her cry. She felt the frustrations of learning a new art, but also felt a real excitement when driving around taking photos with friends. She then decided she wanted to come to New York City, one reason for her choice of Pratt Institute. Although she first pursued fashion and clothing design, she switched to photography and caught up quickly. Initially she had trouble getting a good print but when she started working with low-light photography, her prints greatly improved. 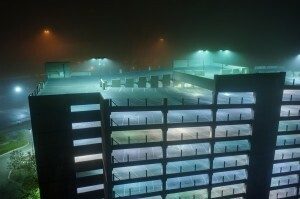 More and more she found herself shooting at night, intrigued by the balance of artificial and natural light. In addition, her search for employment resulted in a work-study job with the PR photographer at Pratt. He left Pratt and they gave her the job, which she held for a few years, shooting mostly events and student portfolios on campus. Her educational background taught her that making a book was a fulfilling goal. Lynn has watched the publishing field change. She has found fewer publishers who pay advances and fierce competition. One book on publishing she recommends is Publish your Photography by Mary Virginia Swanson. Also, if you want to get published, Lynn recommends that you make a wish list of the best publishers for your work and try to get in touch with them. Of course, this route can take persistence and perseverance. She said it is quicker to self publish and then you have complete control. You lose out on the distribution, but you know who has your book. A good resource for studying contemporary photography books is Aperture, whose headquarters are in Chelsea. Lynn will sometimes go to their back room, where many recently published books are on display. Studying these, you will start to notice trends and identify publishers who might welcome the kind of work you do. 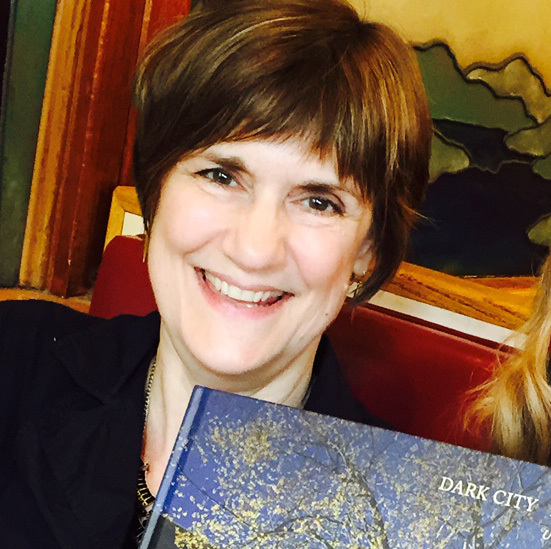 Dark City is Lynn’s third book. It is the first one produced in Italy, however, and also the first for which she was able to be on press. In the beginning, monitoring the book’s production and aiming for perfection was a bit stressful, but she soon realized she was working with artisans who quickly identified any flaws, and she herself only had to add the occasional tweak. With the publishing of a book, Lynn feels a satisfying sense of closure, especially after working right up to the deadline to add new photos and make the book as compelling as possible. Lynn is now energized to start something new, get into more collections, get into more shows, take more photos. In the meantime, we can enjoy her book Dark City. To publicize the book, she has scheduled signings and shows in Florida and Chicago. In addition, she will have the honor to be the first artist to show work in a new gallery at Pratt Institute now with a gallery talk and closing event on October 1st, 6 to 8 pm. 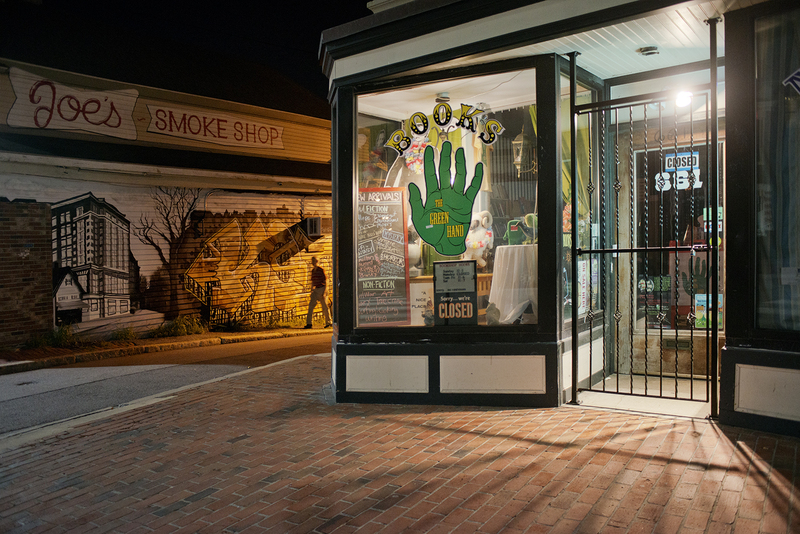 She is proud that Duke University, her alma mater, has acquired her archives, where they reside alongside the work of such famous photographers as Bill Gedney. 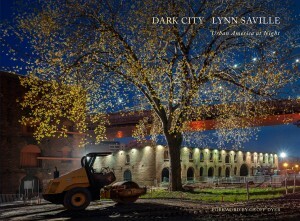 Also, one of Lynn’s prints has just been acquired by the prestigious International Center of Photography, where she teaches. Lynn’s work is represented by the Yancey Richardson Gallery in Chelsea. Yancey, now a prominent gallerist, took Lynn on when she was opening her first gallery and about the time when Lynn was publishing her first book, Acquainted with the Night. Lynn believes it was a stroke of luck that they started out together in this way. She feels that Yancey is a brilliant and original gallerist, and she is proud to be among her artists.